It’s mid-January, 2015. The new year. A time for reflection and a time for dishing out awards. 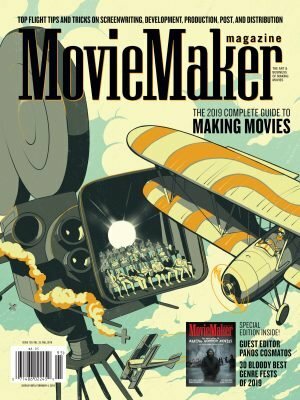 These days everyone seems to be touting their Best Films or Best of 2014 lists, but here at MovieMaker, we’ve decided to try something a little different. We’ve decided to focus on the great film experiences of 2014. Great films that were not only fun to watch, but made a lasting impression on us. Sure, we could easily talk about the directorial merits of Boyhood, the talents of Cumberbatch, and the power and significance of Selma. But what fun would that be when they’ve already been analyzed ad nauseum? Rather, by sharing our experiences of watching a great movie for the first time, we hope to inspire you to do the same. 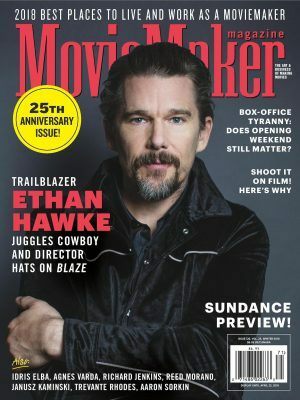 Add a comment below, send us an email (staff@moviemaker.com), or share your great moviegoing experiences with us on Twitter or Facebook. 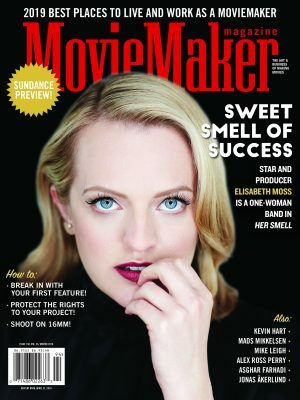 And if we like your story, we just might send you a MovieMaker t-shirt. 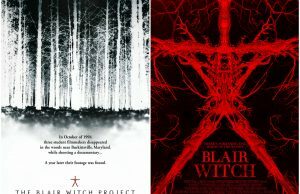 To be up front, horror films are not my favorite. Chainsaw splatter, ridiculous set-ups, cheap thrills, and overused plot devices. But when a scary movie is done right, a la Jaws, The Shining, or The Descent, the aftershocks linger long after the closing credits in a way that becomes much more real and terrifying than the film itself. It’s like going into the ocean without being able to clearly see the bottom. Or roaming the hallways of an old, rickety hotel and thinking about Room 237 or Red Rum. 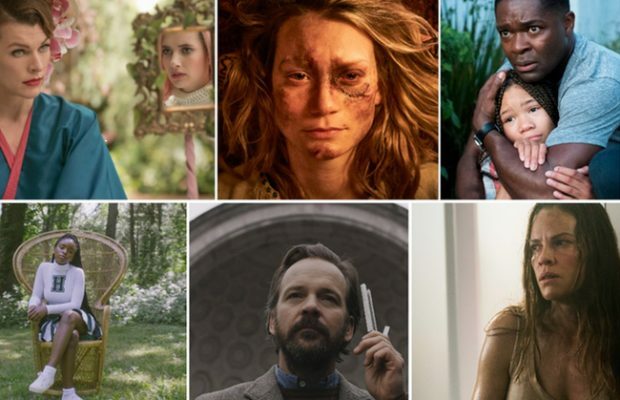 The scars are there, the fears residing within all of us, and yet, we still love watching these films again and again because of the anxiety rush, the strong stories and characters, and how well they’re woven together. Amelia (Essie Davis) clings to her son (Noah Wiseman) in The Babadook. The Babadook is one of those films. From first time Australian moviemaker Jennifer Kent, the film roots itself in the difficulty of parenthood and the past. A single mother, still reeling from the loss of her husband on the same day she gave birth, is struggling to raise her son, Sam, while working at a nursing home. Six years in and Sam has become the devil’s spawn – an aggressive, unruly boy who clings to his mother one minute and terrorizes children the next. So, when a storybook mysteriously shows up, entitled “Mister Babadook,” about a sinister character with a top-hat that knocks three times at your door, things get really freaky. And I don’t mean Jumanji freaky. The kid (Noah Wiseman) has a face and a scream for horror that’ll make you jump out of your seat and Essie Davis is heroic as the stressed out mother on the fringe of mental decay. This is smart, psychological terror at its best. It’s creepy (day and night), atmospheric, and finishes with a hint of The Exorcist. More importantly, it subscribes to the theory that the scariest moments are those left off the screen. Michael Keating as a superhero other than Batman? Alejandro González Iñárritu (Amores perros) as the director along with another former superhero, Ed Norton (The Hulk), and Spider-Man’s girlfriend, Emma Stone (Gwen Stacy)? Sign me up. But I should’ve known better, right? Or researched a little more before going in, just like the rest of the crowd at the Landmark proudly displaying their superhero t-shirts. This was not one of “those” films. And Keating would not be donning any birdlike costume other than boldly walking past crowds in his tighty-whitey, natural Underoos through Times Square. 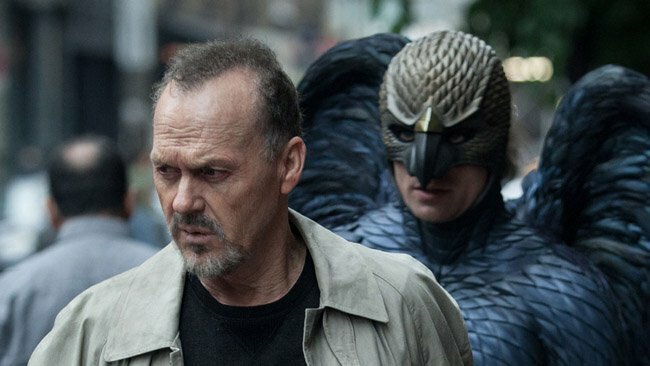 Riggan Thomson (Michael Keaton) is haunted by the Birdman. Instead, this was a dark comedy about a washed-up actor (Riggan Thomson, played by Keating) attempting to find success (and himself) on Broadway decades after playing the superhero, Birdman, in a Hollywood blockbuster. And far less slapstick than an all-time favorite of mine, Noises Off, where everything in preparation for a play can and will go horribly wrong. The difference here is that Iñárritu employs superb technical magic in a variety of ways – he makes the film seamless, as if shot in a single take, and in the middle of that wizardry, allows Riggan’s imagination to go wild, as if he’s able to perform feats of levitation, telekinesis, and flight all while under the influence of his darker, former character. Back in 2013, Edward Snowden became a household name. Snowden, the former systems administrator for the CIA (under the alias Citizenfour), leaked classified information about the NSA and their surveillance practices at home and abroad and got himself into a whale of trouble that continues to be sorted out to this day. Some have called him a hero; others, a traitor. 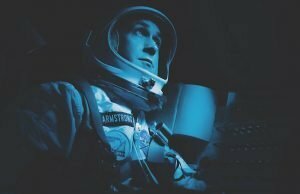 Now, if you’re like me and you’ve seen a lot of documentaries, you know there is a sort of straightforward, logical presentation that comes with the territory. And knowing a little about Snowden’s background, the expectations seemed clear, i.e. there would be a series of routine courtroom re-enactments, intelligence heavy interviews, and second unit shots of Washington D.C. Insert yawn. But here, director Laura Poitras borrows a page from George Orwell, Alfred Hitchcock, and Robert Ludlum; especially, the latter. And the result could not be more dramatic or gripping, making Citizenfour one of the most compelling documentaries over the last decade. 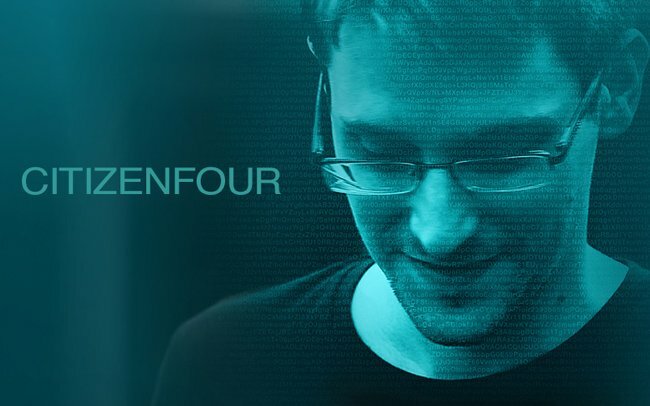 Citizenfour completes Poitras’ trilogy on the War of Terror (My Country, My Country and The Oath), going inside the inner circle of national security with carte blanche access and never-before-seen footage, offering a thrill ride of espionage unfolding in real time a la Jason Bourne; not to mention scary surveillance practices and consequences that may have you believing privacy is dead. Equally important, Poitras stays the course, retaining her objectivity and allows audiences to draw their own conclusions about Snowden and the impacts to civil liberties. Watching Ruben Östlund’s scintillating dark comedy at a near-empty Laemmle Royal in Santa Monica (Angelenos, go to the Laemmle Royal!) was the rare pleasure I hope for all the time at the cinema. I knew next to nothing about the film (“What’s it about?” asked my roommate as I dashed out the door; “Family… avalanche… satire…?” was my reply) and the experience of letting Östlund’s supremely clever patterns emerge in full force over two hours was pure delight. 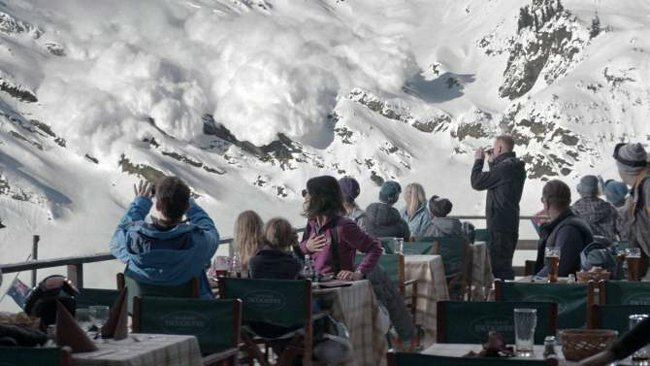 Disaster strikes in Force Majeure. I mean it about the patterns; Östlund displays a remarkable gift for witty visual compositions in this tale, of a man struggling to define his very manliness in a drolly perfect, ordered, quintessentially Scandinavian ski resort. Every frame seems factory-made: uniform windows, uniform hallways, uniform pajamas for the entire family (mom, dad, daughter, son). Even the lovely, angular planes of actress Lisa Loven Kongsli’s face are perfectly symmetrical. As the family survives first a near-natural disaster (the avalanche, unfolding in a dazzling long take), and then the crumbling mass and downhill trajectory of the marriage between Tomas (Johannes Kuhnke) and Ebba (Kongsli), Östlund poses his question: Can we count on reason and order and logic to override our base animal instincts when the time comes? When you hear the words “Iranian vampire western” strung together, curiosity raises its furrowed brow. 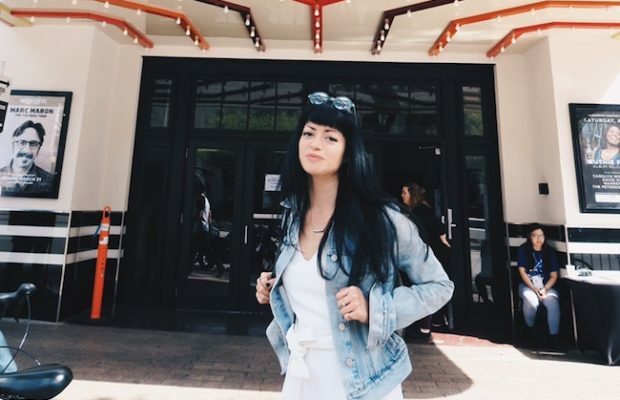 At the Puerto Paraiso Theater in Los Cabos, Mexico, my curiosity got the better of me, as if under a vampire’s spell, leading me straight to the debut feature of Ana Lily Amirpour. Shot in rich black and white, set in Iran, and told in Farsi, the story is actually quite simple – a lonely vampire known as the Girl preys upon abusive men in a town filled with miscreants. In between feedings, she encounters a young, attractive man, Arash, struggling to escape the hard city life. Slowly and albeit very carefully, the two fall in love. The Girl (Sheila Vand) in A Girl Walks Home Alone at Night shows that love bites. From the opening shot of Arash (Arash Marandi), clad in t-shirt and jeans, leaning against a fence, the vibe of James Dean is awoken. And fittingly, he drives a ’57 Thunderbird convertible! Who doesn’t want that car? Then there’s the Girl (Sheila Vand), walking around in a chador, skateboarding and listening to pop and post-punk music. Their lives collide in Bad City, a place that stirs up all kinds of comparisons to Frank Miller’s Sin City. A mashup of sorts, from spaghetti westerns to the likes of Nosferatu, A Girl Walks Home is as visually engaging and stylish a debut as I’ve seen in a very long time; very Tarantino-esque. And Amirpour adds a dash of humor, as my favorite scene in the film has Arash and the Girl meeting on the streets after a Halloween party with Arash on Ecstasy, dressed as Dracula. “Are you afraid of me,” he asks her. What a surprise The Grand Budapest Hotel was to me. As a staunch agnostic on most of Wes Anderson’s career, the film was one of the more forceful conversions in my cinematic life. Was he settling into a better sense of how to deploy his signature affectations, or growing out of them entirely? Perhaps it’s that the self-consciousness of Anderson’s hyper-artificial creations, which I’d always admired but found curiously lifeless, works best when positioned within the context of a tangible lens—a remove to explain the detachment. Fantastic Mr. Fox had its storybook stop-motion lens; Moonrise Kingdom the lens of an adult peering into a child’s adventure. Budapest had both fairytale and foreignness to help ease its central dollhouse of a setting into life. 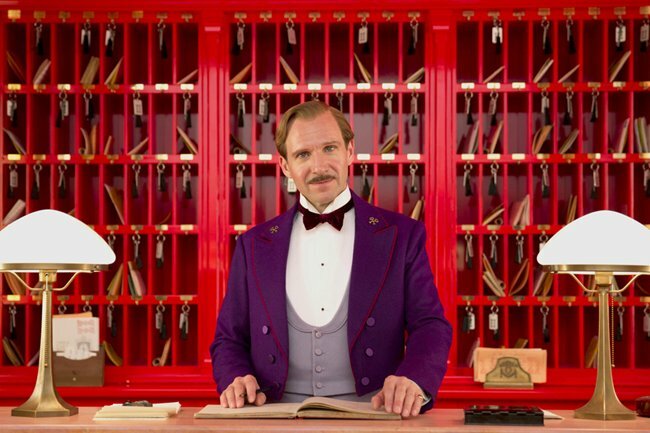 Monsieur Gustave H. (Ralph Fiennes) is ready to take your reservation at The Grand Budapest Hotel. 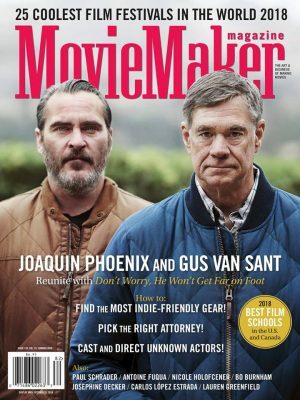 True, the movie’s framing device (book in cemetery) upon framing device (Jude Law in present-day hotel) still felt a tad much, as did the rash of major actors in tiny, virtually wordless roles. But I can forgive a few distractions in a movie teeming with so much life: more plot, more dynamic energy, and more out-and-out jokes than Anderson has ever dabbled in. Also, a setting that allowed his artistic vision to go to town in a breathtakingly gorgeous way. To paraphrase a character at the end of the film, The Grand Budapest Hotel is an illusion with magnificent grace, and Anderson just about pulls the whole trick off. 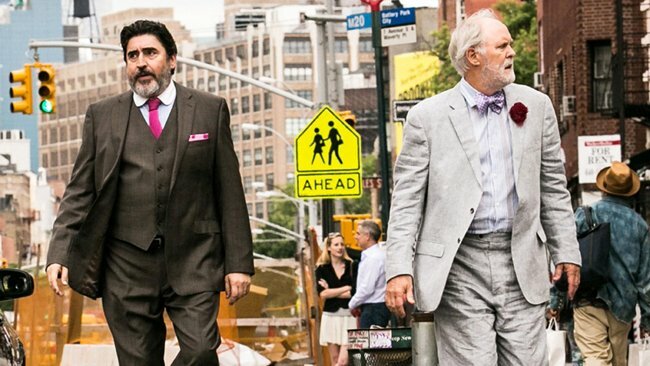 George (Alfred Molina) and Ben (John Lithgow) on their wedding day in Love is Strange. I clearly remember a full moon (or maybe it was a supermoon?) on the evening I saw Nightcrawler. Fall was no more than a week or two fresh as a brisk October sky and air sent chills down my spine. 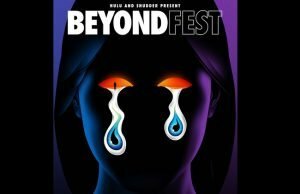 Hustling from the parking garage to the Hollywood theater, this turned out to be the perfect prelude to a film rife with its own set of chills. As sociopath and journalist, Lou Bloom, Jake Gyllenhaal transforms into Crazy Jake right before your very eyes, filming crimes, accidents, murder, and all kinds of mayhem while blurring the lines between observer and participant. This is a performance so dominating, so absorbing with every spoken word, every nuance, and calculated mannerism, you’ll end up shaking your head in utter disbelief. I sure did. 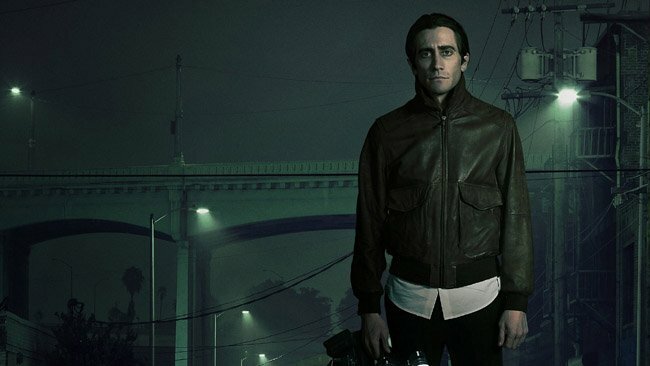 Lou Bloom (Jake Gyllenhaal) roams the streets in search of his next story in Nightcrawler. Manipulative and self-assured, Bloom practices what he preaches to the extreme – that hard work, research, persistence, and a little blackmail can get you everything you want. I mean, “If you wanna win the lottery, you have to make the money to buy a ticket,” right? The most revealing scene is when he nonchalantly tells Rene Russo’s Nina Romina at dinner exactly what he wants and why she’s going to give it to him. He’s stalked his pray, done his research, knows her history and behavior inside and out, and exploits those weaknesses in such a cutthroat way, it’s numbing. The Overnighters was my first film at Sundance in 2014. Having spent most of the day arriving and settling into everything, and missing all the films I had too ambitiously planned to get to, I just barely made it into this, the last screening of the night. Grumpy, exhausted, and feeling sorry for myself, nothing could have kicked me out of my own little head faster than Jesse Moss’ documentary. The film’s fascinating, larger-than-life subject is the pastor Jay Reinke of Williston, North Dakota. Reinke opens the doors of his church to the scores of men who arrive daily in the town (often with nothing but the clothes on their back) in the hopes of finding work in the booming North Dakota oil industry, only to be met with resentment from locals and, worse, homelessness in a town utterly unequipped to handle such an influx of bodies. 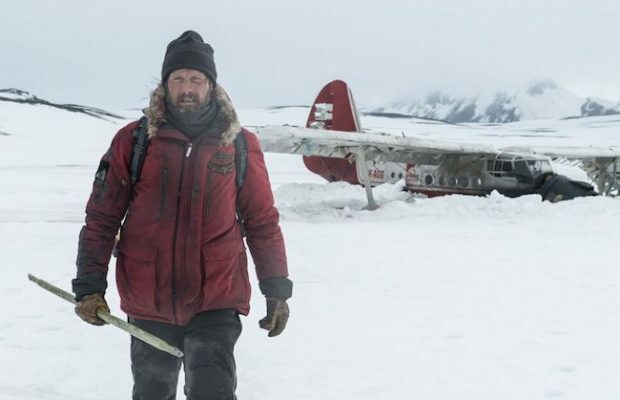 Reinke and his family assist this flock in every way they can, but their kindness comes at a huge personal toll—the magnitude of which Moss keeps close to his chest until the film’s final minutes. It’s a devastating film, filled with spine-tingly too-good-to-be-true documentary moments, like Reinke going door to door around Williston on Halloween, trying to talk unfriendly locals into giving the overnighters space in the town, surrounded by trick-or-treaters in monster masks. My Overnighters experience has a coda: On my last day at the festival, I was in the AirBnb Haus (a café pit stop put up just off Main Street by the social renting company) when I ran into Reinke himself ordering coffee at the bar. If you’ve ever played a musical instrument, chances are, you’ve had that one instructor that takes his or her Mozart (or in this case, Hank Levy) all too seriously, pushing students to the brink of utter exhaustion while in the pursuit of the perfect performance. Mine was in junior high as a saxophone player. And unfortunately, it was the reason that made me leave band all together after many years playing recitals, orchestra concerts, and performing at state/national competitions. There’s a fine balance – pushing students to be all they can be while retaining the fun, beauty, and creative expression that music provides. And when the thrill is gone, the grind and resentment settle in. 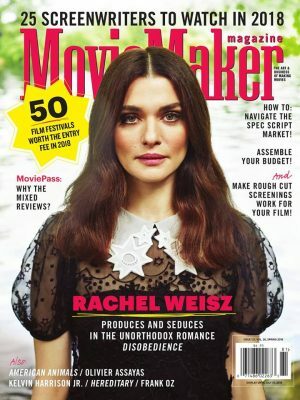 Fortunately, very few instructors, if any, would come close to the overbearing, abusive Terrence Fletcher in Damien Chazelle’s intense drama, Whiplash, a film that brought back those music memories, good and bad, from all night practice sessions to on-the-spot performances for grades and chairs. In Whiplash, Terrence Fletcher (J.K. Simmons) pushes Andrew (Miles Teller) to stay on time. The film stars J.K. Simmons as Fletcher, the Shaffer Conservatory conductor and jazz instructor whose reputation is so terrifying, students gossip and shudder upon hearing the sound of his footsteps, almost in a unique rhythm themselves. Fletcher is a villain for the ages. 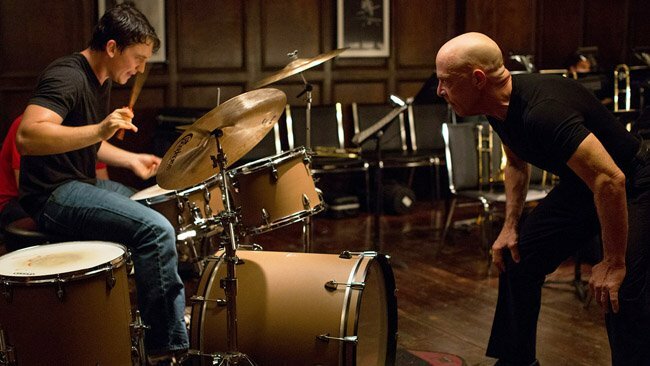 And when an unyielding young student named Andrew, played with such sincerity by Miles Teller, insists on becoming the best drummer in the world, he goes all out in a series of ruthless mind games and verbal spars that has each gasping for the final coda.